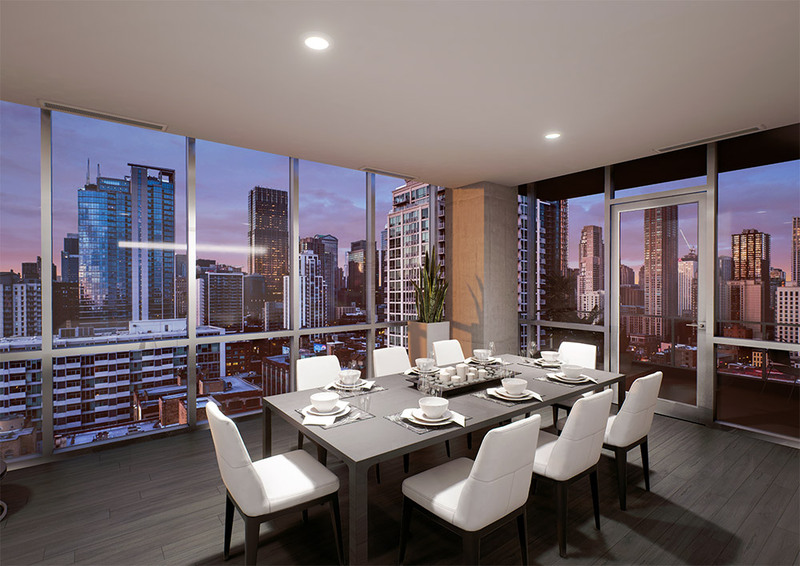 Located in the heart of River North, the luxury condos in this newly constructed high rise offer gorgeous and comfortable homes in one of the city's liveliest neighborhoods. 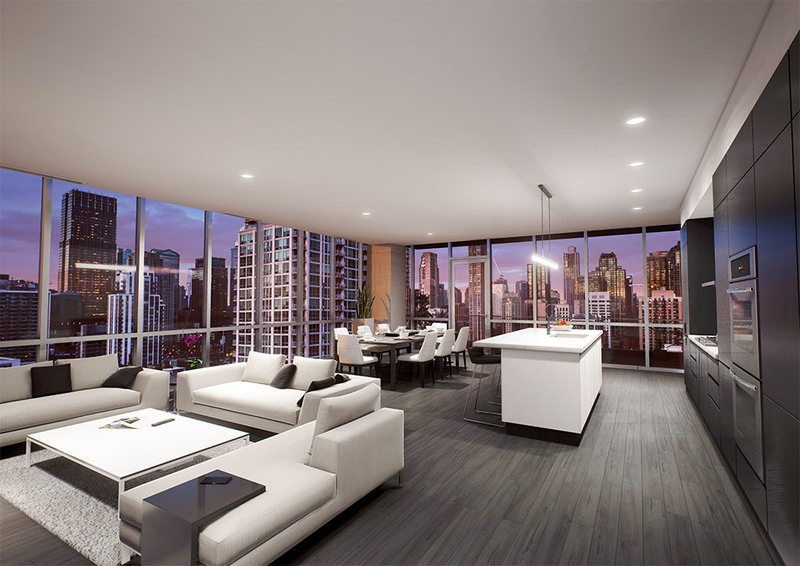 Enjoy a wealth of building features and services exclusive to residents. Indulge your active lifestyle in the outside swimming pool, fitness room, yoga studio, 1/8 mile running track, or putting green. Relax indoors or outdoors in the lounge, tend the vegetable garden o sit around the fire pit after cooking with friends in the public kitchen. Each home has been outfitted with designer fixtures and high-end appliances, and include a number of custom finishes to help you express your design style. 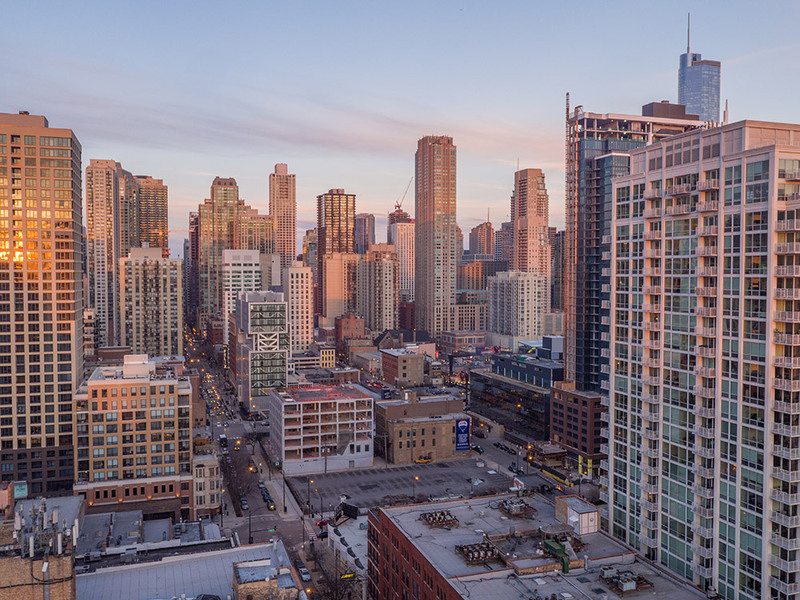 You will experience phenomenal views of the bright lights and stunning architecture that characterize River North - - bound to entice you out to the inviting restaurants, shopping and nightlife options all within walking distance.